the cold month that ends each year. 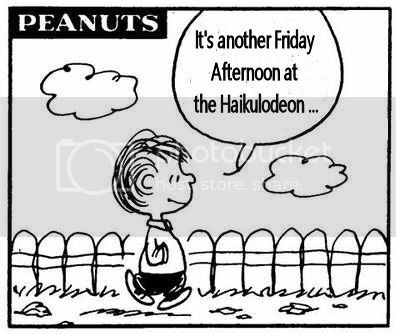 Good Grief, It's Friday Afternoon at the Haikulodeon! Read more about Good Grief, It's Friday Afternoon at the Haikulodeon! young man learns the blues. in the pleats of mother's skirt.